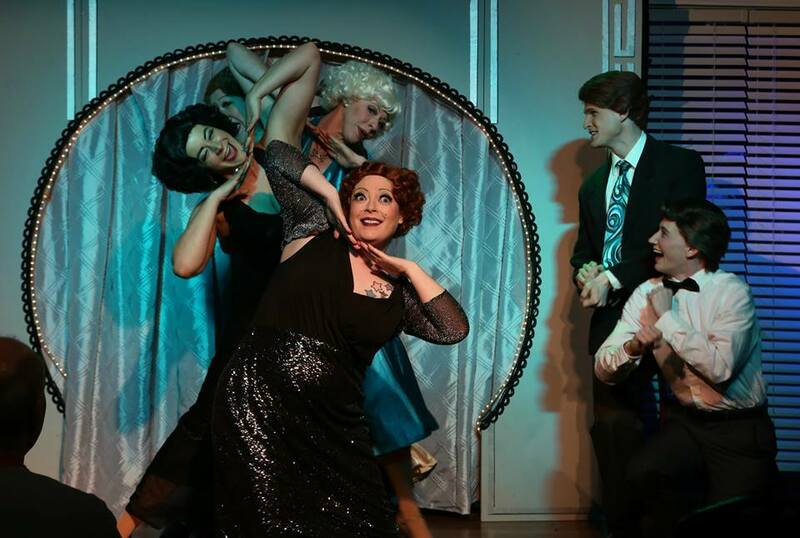 EXTENDED Thru June 17 “Lady X: The Musical” (Hell in a Handbag): Cat’s Meow… Still! Hell in a Handbag Productions presents the world premiere of the LADY X: THE MUSICAL. It’s like this, sister! 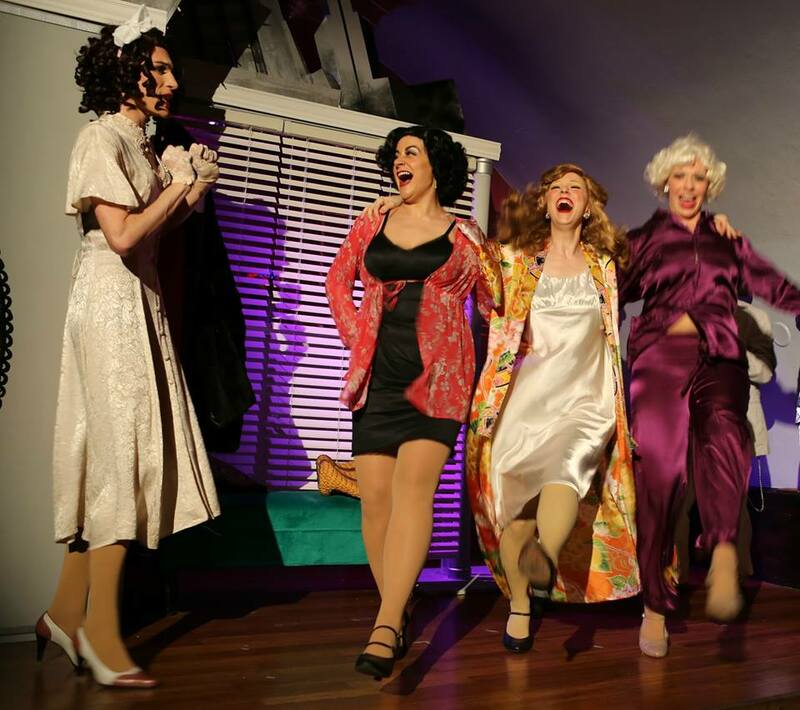 A bunch of dames are hoofers looking for a pushover to be the darb for a swill of gin or a night of whoopee. The new big cheese is a woman. And she is one tough broad sizing up their gams to turn the joint into the cat’s meow. But see, this hard boiled doll ain’t on the level and is giving everybody the heebie-jeebies. A stoolie gets bumped off. A tough cookie pinched. A flim-flam floozy takes it on the kisser. Horsefeathers! 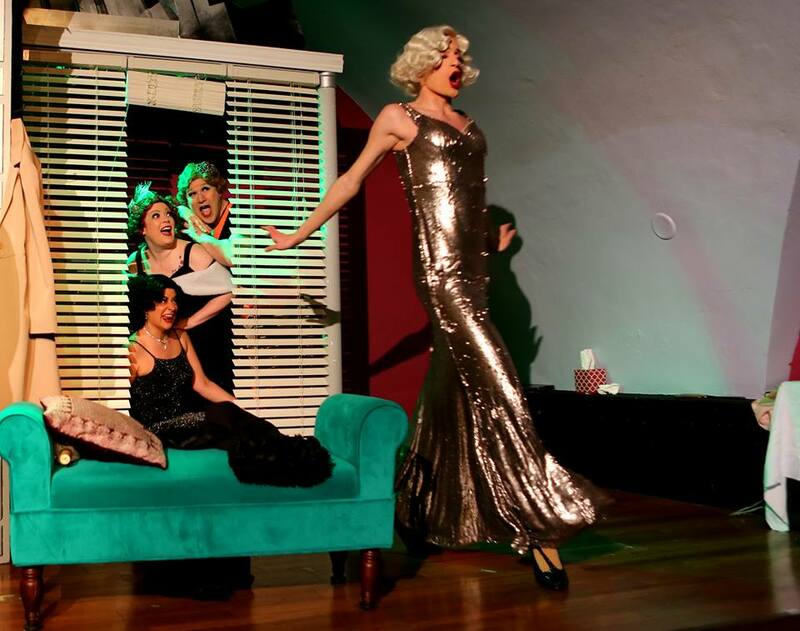 LADY X celebrates the zinger genre with a campy salute to Bette Davis’ lines. In this new musical, Cerda wrote the book, the lyrics and the music (in conjunction with Scott Lamberty). The gifted Cerda also plays the new nightclub owner by channeling his signature Joan Crawford-like character. The ladies of the evening are some of our favorite Handbaggers: Sydney Genco (Ruby), Caitlin Jackson (Gabby), Ed Jones (Estelle), Elizabeth Lesinski (Emmy Lou), Christea Parent (Mary). These gals flaunt their moxie moves with pizzazz. When a naive Betty (Steve Love – choreographer and co-director) arrives, these broads hilariously bend the truth in “We do science.” It’s a hoot! Cerda nailed it in 2010. Although it loses some of the original snappy rhythm by adding musical numbers, LADY X has grown into a long legged, classy dame. The singing and dancing make it more of a Handbag production. The talented ensemble has got some terrific pipes and gams to show-off. My only issue with the show is it’s sometimes hard to hear the zinging lyrics over the music in this venue. The cast needs to be miked. Or Handbag needs to put on their show at a place with better acoustics. Still, the return of LADY X as a musical continues to be the cat’s meow! This is a fun and frothy outing.